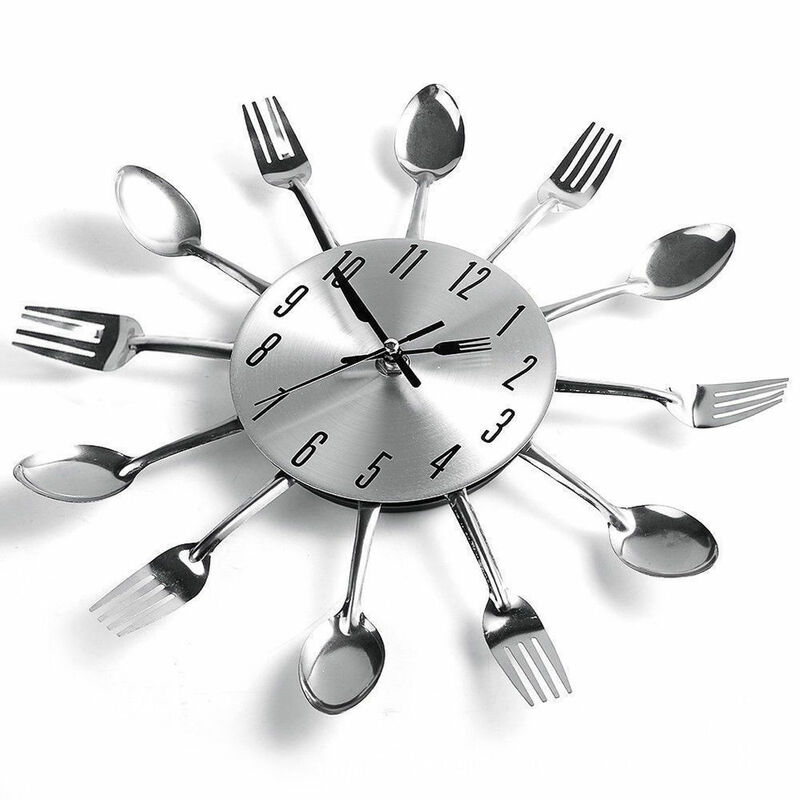 You can decorate your kitchen or eating area with this attention getting clock. Interspersed are silver-toned shimmering forks, soup spoons, spatulas and slotted spoons. 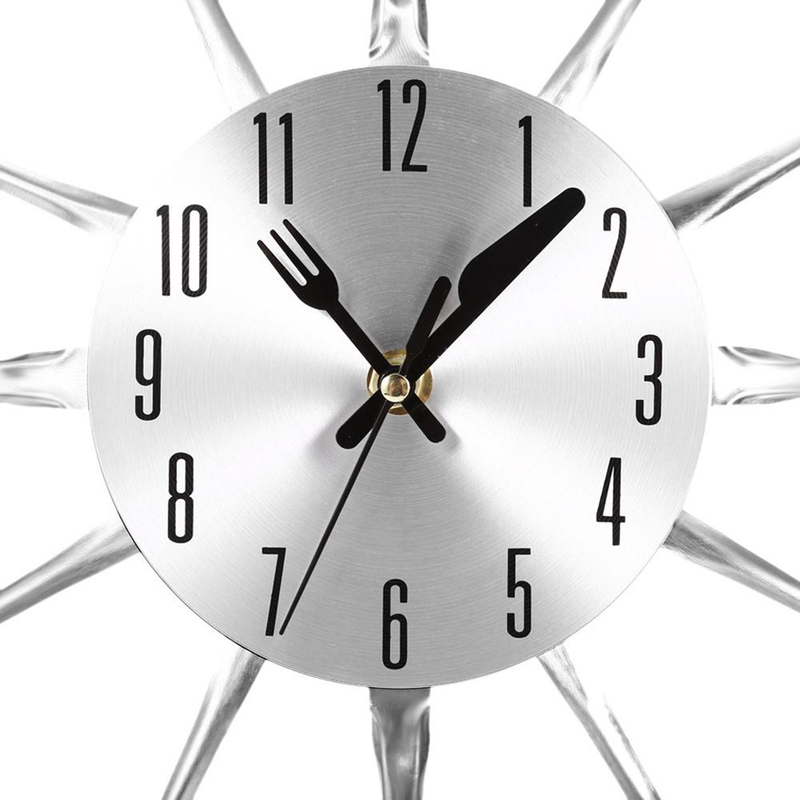 The clock face is accented with minute and hour hands featuring a knife and fork. 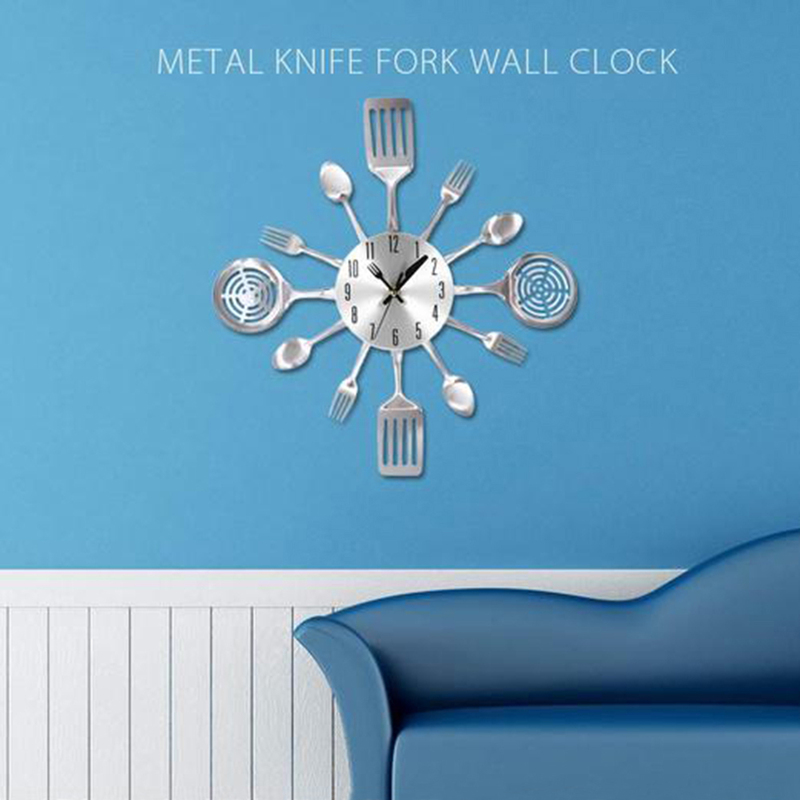 Bring culinary expressionism to your kitchen in an eccentric exhibition of contemporary decor with such creative wall clock. 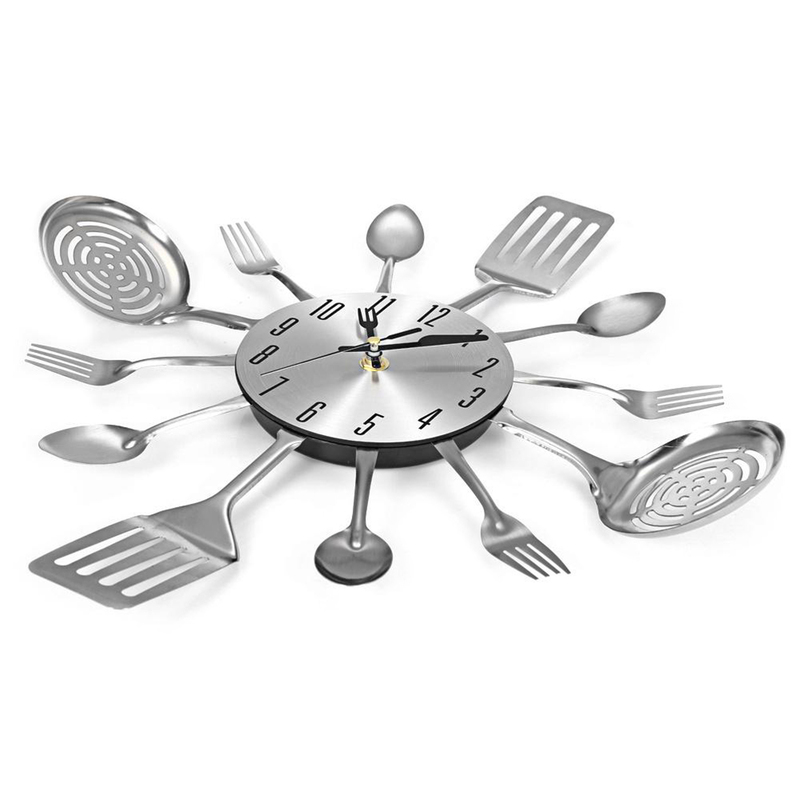 - Decorate your kitchen or eating area with this attention getting clock. - Interspersed are silver-toned shimmering forks, soup spoons, spatulas and slotted spoons. 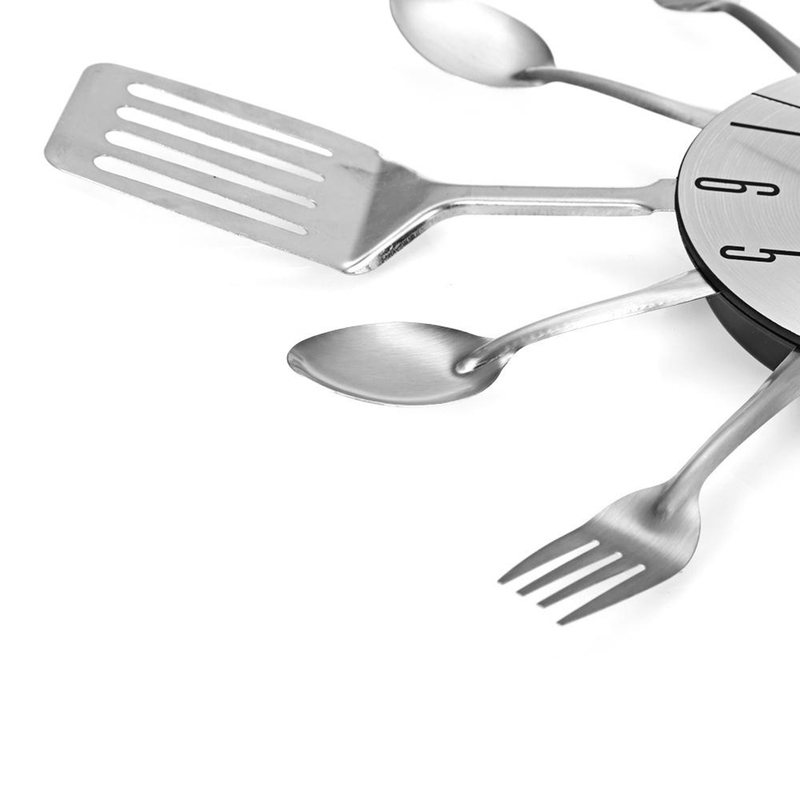 - The clock face is accented with minute and hour hands featuring a knife and fork. 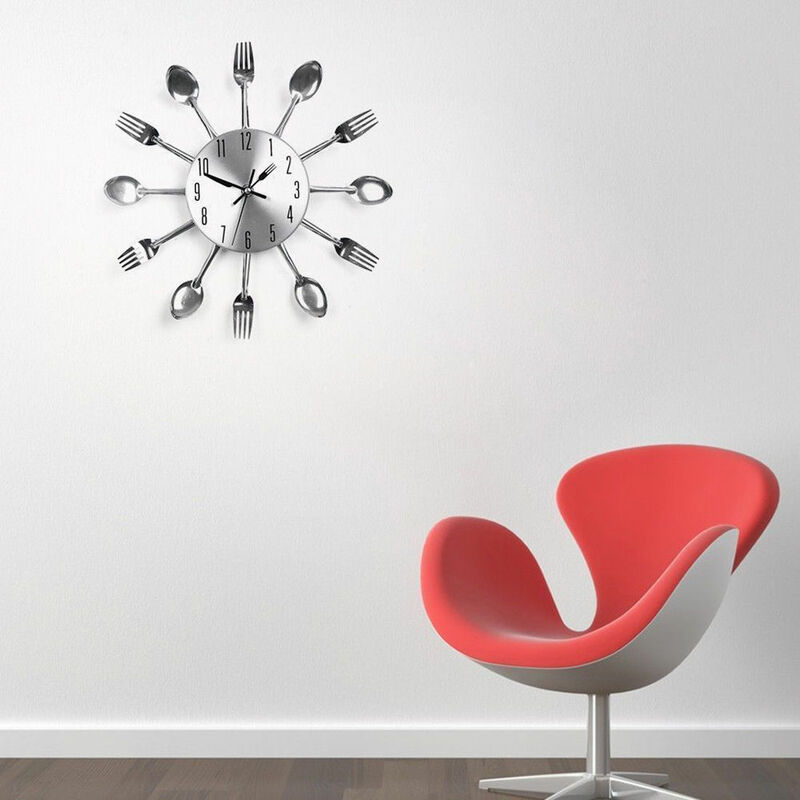 - Bring culinary expressionism to your kitchen in an eccentric exhibition of contemporary decor.